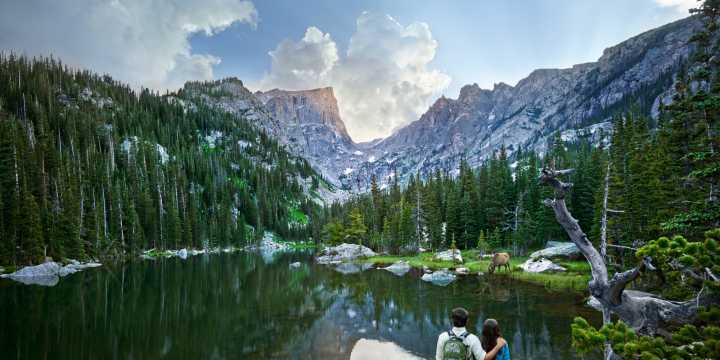 Estes Park, Colorado is a leading wedding destination. When you consider that Estes Park has over 300 days a year of sunshine, is nestled against the main entrance of Rocky Mountain National Park and is surrounded on all four sides by the Rocky Mountains, there is no denying the fact that Estes Park is a premier Wedding location.No matter what your budget, the variety of venues and options available here will be sure to please you. Whether you desire a church ceremony or an outdoor setting surrounded by the peaks of the majestic Rocky Mountains, the options are numerous. Should your ideal reception be an intimate family gathering or a ballroom reception, Estes Park is delighted to accommodate you. CEREMONY SITESMany of our reception venues also offer the option of an indoor or outdoor on-site ceremony. 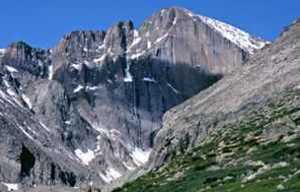 Venues inside the National Park have special requirements and require a Rocky Mountain National Park wedding permit .Estes Park also has 17 various houses of worship. Many of these churches offer their facilities and officiates for non-denominational, Christian-based ceremonies. Each has individual policies, pricing and programs.OFFICIATESOur community offers a variety of officiates to perform your wedding ceremony. Many non-denominational ministers, clergymen and justice of the peace are available. Our website offers several choices. Many of our local reception venues will have a list as well of local officiates that are available.MARRIAGE LICENSEYou can purchase your marriage license from any Clerk and Recorder’s Office in the State of Colorado. This should be done in person and the license is valid for up to 30 days. Estes Park’s office is generally open Monday through Friday each week. Full license information are available from Lairmer County.RECEPTIONSThe reception venues are numerous, as well as very diverse here in Estes Park. Is your ideal reception an intimate family gathering, a casual outdoor barbecue in a covered pavilion or an elegant ballroom affair with dancing? 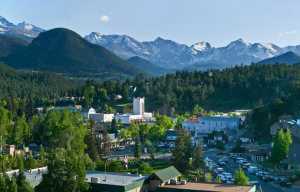 With quaint Bed and Breakfasts to historic inns, from casual guest ranches to elegant hotels, Estes Park offers a variety of choices. You’ll find that many reception facilities have an on-site planner to assist you with variety of details associated with weddings. The changing seasons here offer year-round options for your wedding plans. We suggest that you contact venues early to reserve the date of your choice. Please consider an alternate date that may work for you as well. Remember that Saturday is the primary choice for bridal couples. We suggest that you also consider other days of the week for more options and the possibility of pricing benefits.WEDDING SERVICESYou’ve got the date reserved for the ceremony and reception, now it’s time to plan all the additional aspects of your wedding day. Estes Park offers assistance with professional photographers, videographers, beauty services, florists, musicians and DJs, rehearsal dinner, caterers and cakes, recreational options for visiting friends and family, guest lodging, honeymoon suites, transportation from the airport as well as guest transportation once you are here, plus much more. Let Estes Park’s professionals assist you with all your wedding plans; they will help you plan the wedding you’ve always dreamed of.ELOPEMENTSNot planning a big wedding? Several venues in Estes Park specialize in elopements with packages that include a romantic fireside setting or perhaps a deck with a panoramic mountain view for the ceremony. Maybe the two of you prefer something streamside or in a meadow of wildflowers. It’s all possible in Estes Park. Packages are available that include your officiate, ceremony location, honeymoon lodging, flowers, cake and even dinner for 2-25 people. Click Here to Start Planning The Perfect Estes Park Wedding!